For some patients with severe types of corneal and ocular surface diseases, ‘tooth in eye surgery’ is a last resort to restore their sight. Osteo-odonto-keratoprosthesis (OOKP), also known as ‘tooth in eye surgery’, is a specialist procedure which involves removing the patient’s tooth and inserting a tiny lens inside it, before it is implanted into the patient’s eye. There are only a small number of OOKP operations that take place each year and just one surgeon who carry can out the operations in the UK. Funded by NHS England, it is reserved for patients with rare types of corneal blindness and for whom a conventional corneal transplant would not work. For these people, this unusual operation is the last chance they have to recover their sight. However the procedure is not without risk. If unsuccessful, any remaining sight they had before surgery would be lost. In the first stage, a patient’s tooth, along with some jawbone, is removed and cut into a block. A hole is drilled through the root of the tooth and a plastic lens (optic cylinder) set inside it. The tooth and lens are then sewn into a pocket of skin underneath the opposite eye to the one it will be implanted into. Finally, a piece of skin is cut from inside the patient’s cheek and stitched over the eyeball being operated on. In time, this will form the front of the new eye. A few months later, after living without being able to see anything at all through the eye covered with skin, the tooth will have grown its own soft tissue and the cheek skin over the patient’s eye will have developed circulation. In the second stage of the OOKP procedure, the tooth is retrieved from the skin pocket and excess tissue removed, ensuring some is some left for stitching. The skin from the patient’s cheek that has been grafted over the eye is carefully peeled back, before the entire front of the eyeball is removed. This part of the procedure can’t be reversed. The tooth and lens is then implanted into the eye and the cheek skin stitched back leaving a small hole for the lens. The skin now forms the front of the patient’s eye. If the procedure is successful, the patient will recover their sight as their brain begins to recognise and process the images now reaching the retina. The OOKP procedure was first described in the early 1960s by Italian Professor Benedetto Strampelli, a pioneer in corneal transplants. Professor Christopher Liu, Consultant Ophthalmic Surgeon at Sussex Eye Hospital, learnt the technique in the 1990’s and has since taught teams around the world. Professor Lui, who was appointed an Officer of the Most Excellent Order of the British Empire (OBE) in this year’s Honours List, told NB Online: “Over one hundred OOKPs have been carried out in the UK over the last 20 years. Up to 80 per cent of these operations have been successful, and follow up studies show that half of patients gained a visual acuity of 6/12 or better. Professor Lui said: “It is a sophisticated and challenging technique and needs a long time to learn. The procedure also requires a large team, including a cornea surgeon, oral surgeon, glaucoma surgeon, oculoplastic surgeon, vitreoretinal surgeon, psychologist, radiologist and so on. “Eye surgeons in the field should really devote their professional life to this work. 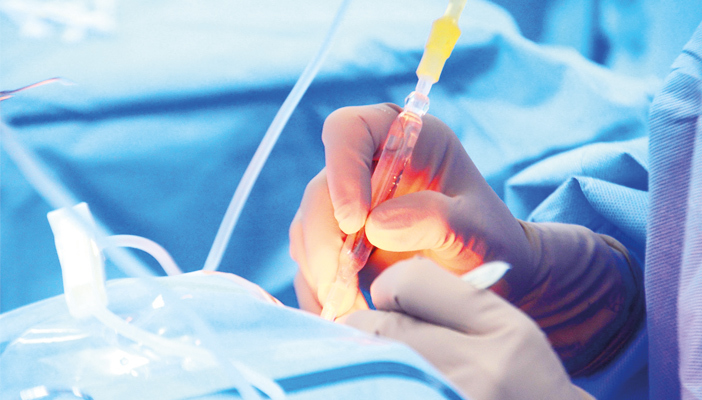 They need to be available and knowledgeable to deal with any complication after the operation." Since starting the OOKP service in Sussex eye Hospital in 1996, Liu and his team have made progress in a number of areas. They are now able to modify the optic cylinder to provide patients with a wider visual field and are currently researching a synthetic device to use instead of a tooth. Watch a documentary about the procedure on youtube The Day I Got My Sight Back. Watch patients Bunnie Adams and Martin Jones talk about seeing again after undergoing OOKP surgery.